Jason Ren? Castro (born March 25, 1987) is an American acoustic/folk-pop singer-songwriter and was the fourth place finalist on the seventh season of American Idol. After Idol, he signed a recording contract with Atlantic Records. 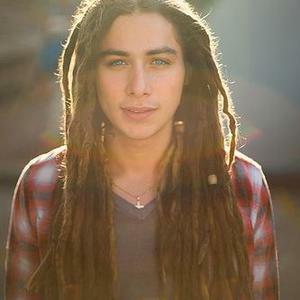 His self-titled debut album, Jason Castro, was released on April 13, 2010. Born in Dallas, Texas, and raised in Rowlett, Texas, he currently resides in Rockwall, Texas. Born in Dallas, Texas, and raised in Rowlett, Texas, he currently resides in Rockwall, Texas. His parents, Ren? and Betsy Castro, are Colombian, and he is the first person in his family to be born in the United States, followed by younger siblings Michael and Jackeline (Jackie), of whom both are singer-songwriters as well. Spanish was his first language as a child. Their father, Ren?, is an architectural swimming pool designer and singer-songwriter. He attended Vernon Schrade Middle School as a child and went on to Rowlett High School where he was a left winger on his school's soccer team and an honor student. He received a 1340 out of 1600 on his SAT. Castro was a junior majoring in Construction Science at Texas A&M University in College Station on a full academic scholarship when he auditioned for American Idol. Castro has sported dreadlocks for more than three years. Castro grew up playing drums. He taught himself to play the guitar in college. He had no formal voice training before auditioning for American Idol and had previously sung only 5 times in public, mostly during church services. Castro performed as a drummer with the rock band Charlemagne, which later became Keeping Lions. He has stated that his musical influences include Ray LaMontagne, Ben Harper, Bob Marley, Carlos Vives and Kirk Baxley. Castro was the love interest of Cheyenne Kimball on her MTV reality show, Cheyenne and was also featured in her music video for "Hanging On". On October 31 on Halloween in 2009, Castro proposed to Mandy Mayhall, an alumna of the University of Oklahoma, a sister of Kappa Kappa Gamma and his girlfriend of a year and a half. Castro proposed to her at a tailgate party before the Oklahoma/Kansas State football game in Norman, Oklahoma. The two were dressed as Disney characters Belle and The Beast from the animated film Beauty and the Beast as their Halloween costumes. Castro and Mayhall began dating in 2008 when Castro's Idol stint began but first became friends in high school at Rowlett High School. Mayhall made a brief cameo in Castro's music video for "Let's Just Fall In Love Again". As of January 2, 2010 Castro and Mayhall were married in his hometown near Dallas, TX. Castro and Mayhall now reside together in Dallas.